Wren has spent most of her childhood Christmases being chased by a local group of boys in a version of the old Celtic myth ‘hunting the Wren (or Ran)’, but as she gets older so the game becomes more serious. Wren is an Augur, with magical or mystical powers and her family want to use this in order to bring them back in to prominence as they continue an age long fight with the ‘Judges’. To help with this Wren is sent to work for the judges, so that she can steal a treasure that will help her own people. As the story continues, Wren finds that things are becoming muddled; there are secrets that appear to blur her understanding of good and bad, right and wrong. Added into the mix she has a growing attraction to Tarc, a judge who is the bodyguard for Cassa (leader of the judges in the area). How all of these interwoven threads are sorted makes for a rich and magical tale where it is difficult to be certain where loyalties lie. This is a very complex story and I found that it took a while to sort out the different factions. It is set in modern Dublin and the surrounding countryside and the author has used the mythology of the country to build the framework of the story. 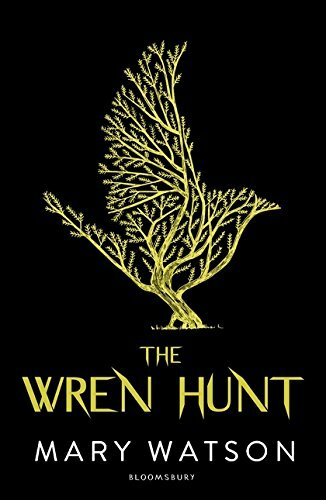 The story of the Wren hunt is primarily a Celtic legend and it appears in a variety of guises in Ireland, Brittany and even into the Norse world. It has been used before in literature, in Susan Cooper’s The Dark is Rising for example. With sympathetic characters in both of the warring groups it demands a second reading; there’s a real sense that this is a special book deserving careful reading to fully appreciate its merits. For many readers this will be the perfect mix of magic and the modern world, others will need to go with the ‘slow burn’ approach. Whichever group you are, I definitely recommend that you give it a try.